Baltimore County Councilman Julian Jones wants the school board to vote to make Verletta White the county’s permanent school superintendent. This comes as White is under fire for not reporting income she made while consulting for an outside firm. WYPR’s John Lee talked it over with Nathan Sterner. Sterner: Why does Councilman Jones want a vote now? Lee: Jones says it would be a waste of money to spend $100,000 or more on a nationwide search for a school superintendent when White is right here, right now. White has been serving as interim school superintendent since Dallas Dance resigned earlier this year. Jones told the county school board last night that it would be hard pressed to find someone with White’s experience. Lee: Now what Jones is referring to there is a Baltimore Sun investigation. It found that White did not disclose that she was getting paid to be a consultant by a company that represents education technology firms. White says it was a mistake not reporting the income but that she would correct it, and that there is no conflict of interest on her part. She says it was an honest oversight that should not be misconstrued as unethical. The Sun reported that White was paid around $3,000 a year by the company since 2013. Sterner: Did the school board get any more feedback on whether White should get the job permanently? Lee: Yes, there was an orchestrated effort to make the case for White. Much was made of the fact that White is home grown. She went to Baltimore County Schools as a kid. She began teaching in the county schools in 1995. 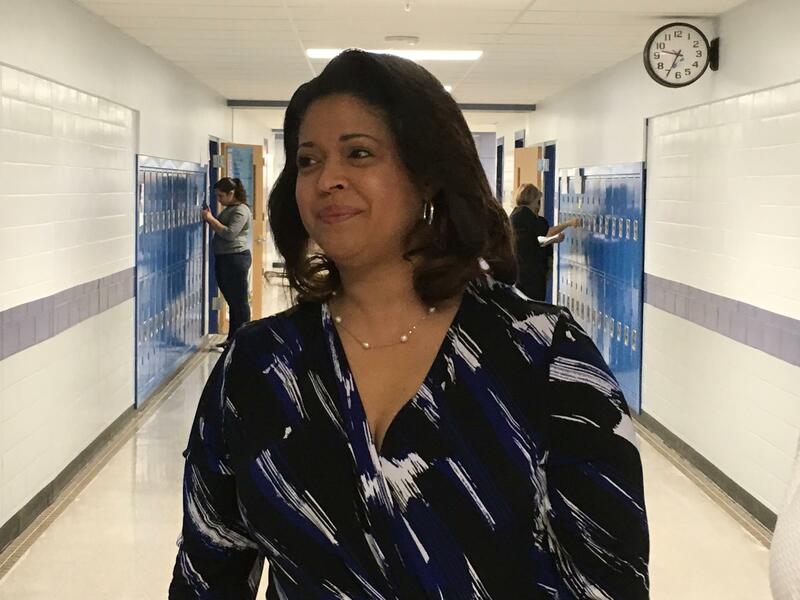 Before she was picked to be the interim school superintendent, she was the county’s chief academic officer. White got words of support from a state legislator, teachers, principals and students, like Nylea Johnson, a third grader at Fort Garrison Elementary. Johnson: "Hi Ms. White. You've come to my school twie this year and it's only November. My class and I love seeing you. You make me smile and feel comfortable. Thank you." Lee: And also Nylea’s sister, Nivea Johnson, a 9th grader at Pikesville High School. Lee: The Sun reports that a Baltimore County parent has filed an ethics complaint against White alleging she violated income reporting rules. Councilman Jones says several members of the school board back his proposal for a vote on White. Not sure though if or when that vote will come. Sterner: The school board also got a look at the proposed renovation of Lansdowne High School last night as well? Lee: That’s right. The county proposes a 60 million dollar renovation. Plans for that renovation were presented to the board last night. But there are those who say that is not good enough. Proponents of a new school, including State Comptroller Peter Franchot, say a renovation will not solve structural issues with Lansdowne. But the school board was told last night that that is not the case. And a new school would cost more than twice as much. There was a motion on the board to delay the renovation for a year to give more time to consider a replacement school. That was defeated overwhelmingly. So for now the Lansdowne renovation remains on track. 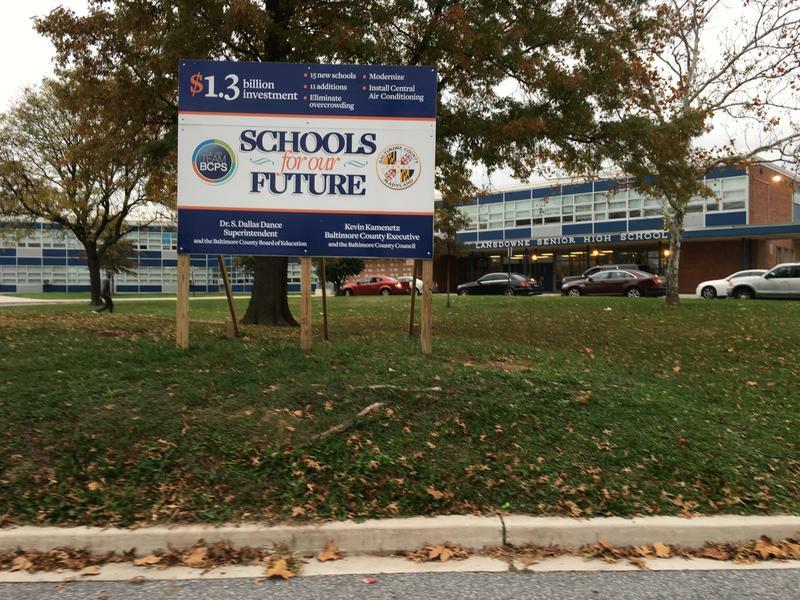 No high school in Baltimore County is in worse shape than Lansdowne High. The county plans to renovate the school, but State Comptroller Peter Franchot said Lansdowne should get a new school and that isn’t happening because the community isn’t affluent, and doesn’t have much influence. But Franchot’s motives are being questioned.